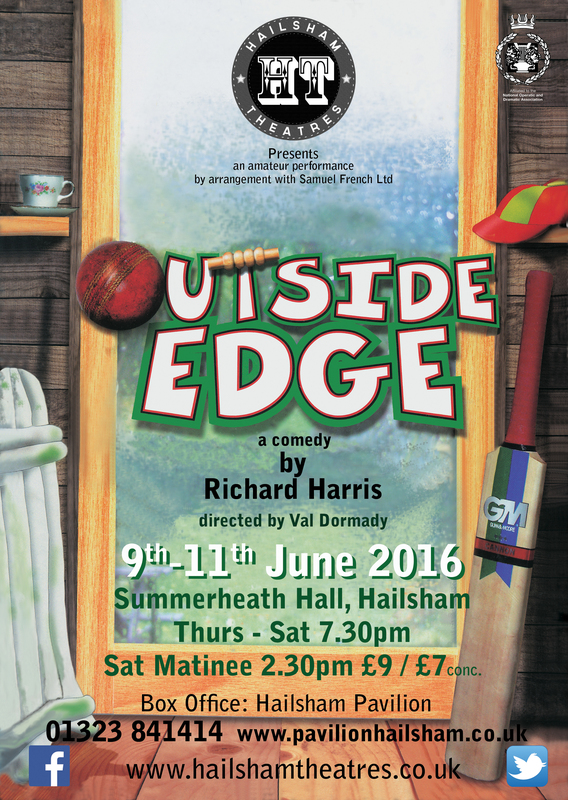 We are pleased to announce a summer production at Summerheath Hall, this will be the comedy ‘Outside Edge’ by Richard Harris. Read throughs / auditions for Outside Edge will be on Thursday 25th Feb 7.30 Summerheath Hall and Thursday 3rd March 7.30 Summerheath Hall. Rehearsals start Tuesday 29th March 7.30pm at the METHODIST CHURCH. Tuesdays will be at the Methodist Church, Thursdays at Summerheath Hall. If you are intereseted in joining the cast or helping out please contact us. Performances are 9th – 11th June at Summerheath Hall.